For many years, Second Opinion has been dedicated to using media to accurately and non-sensationally educate and inform Americans about the growing opioid and heroin epidemic. 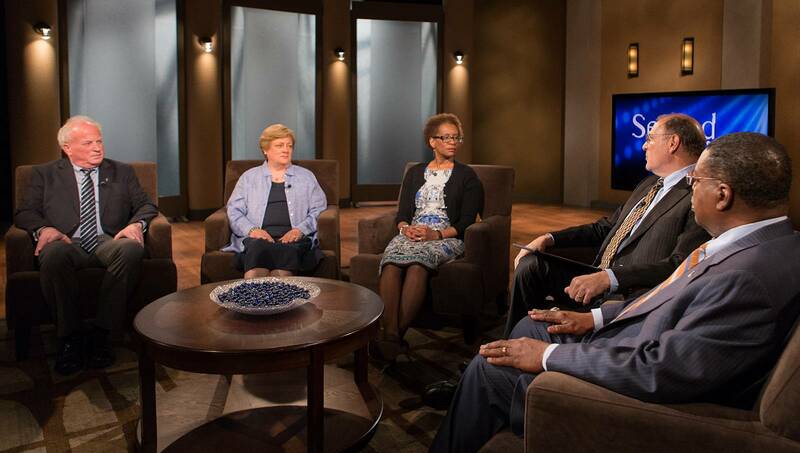 In Overdose: Inside the Epidemic, A Second Opinion Special, experts discuss the drug epidemic in the U.S., and offer solid, timely information about prevention and addiction treatment. The show features the personal story of Mary and Joe Mullin, who, just eight weeks after their son Patrick died of a heroin overdose, courageously share their experience of Patrick’s decline from alcohol and marijuana use, into opioid and heroin addiction. Opioid addiction is a chronic relapsing disease that can develop with repeated exposure to opioids. There are strong genetic, situational, and societal factors that increase the risk of developing opioid abuse. Untreated, it can be deadly. Heroin is a highly addictive, synthetic opioid made from morphine that when used produces an extreme sense of euphoria. Heroin is also cheap compared to prescription opioids, such as Hydrocodone (brand name, Vicodin), Oxycodone (brand names, OxyContin, Percodan) and Hydromorphone. The misuse of prescription pain medications is the biggest predictor for starting to use heroin. It affects families regardless of socioeconomic status or education. The effects of addiction on the individuals and their families are devastating in terms of physical, emotional, social, and financial costs, with death being the ultimate, tragic price. According to the Rhode Island Department of Health, drug overdose is now the leading cause of accidental death in the state. Nationally, Rhode Island ranks fifth highest in deaths by drug overdose, with most Rhode Island overdose deaths occurring in adults ages 24 and older.